Bicester Hotel Golf and Spa sits in 134 acres of stunning countryside with tranquil gardens and an exquisite 18 hole golf course. 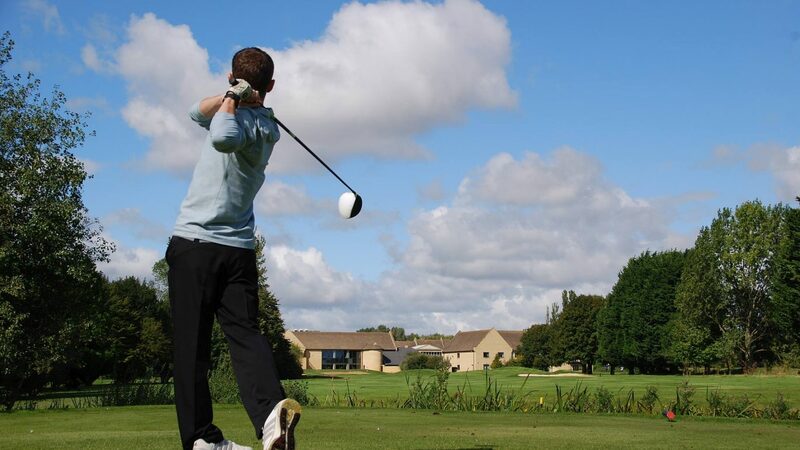 Our beautiful venue set in the village of Chesterton close to Bicester is perfect for golf and golf breaks. Our golfing facilities are amongst the best in the region with the golfing surface being one of the best in the area. Bicester Hotel Golf and Spa (formerly Chesterton Golf Club) has a testing 6,255 yard, par 71, 18 hole course. It boasts 11 lakes, strategically placed bunkers and undulating greens which prove a challenge to every player. A number of newly designed holes will impress returning members. enjoy the perfect golf day. Whether you choose a pre-set package from our winter and summer society rates, or are looking for us to help you create a completely unique golf day experience, our dedicated team are ready to cater for your every need. Chesterton, right at the T-junction and follow the sign to Bicester Golf Club. We have 52 spacious bedrooms offering five different styles of accommodation from junior suites to standard rooms. All our rooms have a contemporary décor and have been styled to provide a comfortable and relaxing stay whether for business or leisure.